This was originally conceived as a book, or series of books, and some sections still flow into each other naturally, so I just realized I should put together a Table of Contents masterlist that can make the site as readable as a partially-assembled book. It'll fill in as we go, and the gaps will shrink. Some sections I never finished. Some I never will. Most are too verbose. Some have been altered a bit for this website, and some posts have been written or assembled outside the book format. I'll figure it all out. -> Weaponizing Nonviolence: Col. Helvey - a former soldier and officer turned man of peace helps translate Sharp for battlefield use. "Removing the authority of the ruler is the most important element in nonviolent struggle." 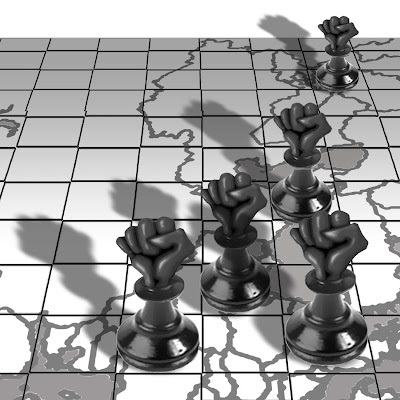 - State Control and Oligarch Retrieval : Putin moves to Reverse the 90s. 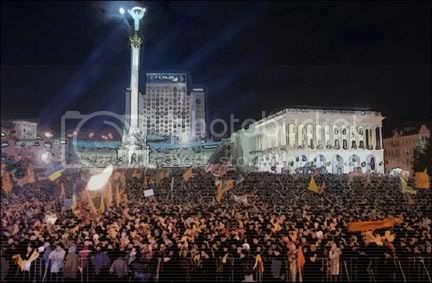 - Ukraine: The State of Play in 2004: President Kuchma, PM Yanukovych, Russian influence, estern ambitions, Tymosheno and the emerging opposition. "Oligarch wars." - Like a John Le Carré Novel: Yush Poisoned! - Russia’s Grip on Kyrgyzstan: The scrable for Central Asian basing - Washington's post-9/11 interests vs. Russia's enduring interests. - Rakhimov’s Paradise: The Missing Link? The rest of the book - the revolutions that failed and on Oborona in Russia, on ethical and tactical issues, etc., was never even properly organized. Thank you for this! I just found your site -- via an older post about Gene Sharp -- and this was the top article. Very handy and much appreciated. hey thanks! - you sound familiar somehow - wombaticus rex posts somewhere, i know it, and have a good feeling about that person i guess is you tho i don't remember why. thanks also for bringing me back over here - i'm planning on a long break from 9/11 stuff and reviving GWG could satisfy my brain fixes in the future.